On a bright December morning, first-year University of Toronto student Zoe Butcher is quick to answer the door at a well-kept semi in Toronto’s East Danforth. She offers tea as she heads into the recently renovated kitchen where Catherine Finlayson, 61, joins her. They chat and laugh while the kettle heats up. The two live together, but they aren’t family, roommates, or your typical landlord and tenant. As participants in an intergenerational home-sharing program that launched in September, they’re something unique. 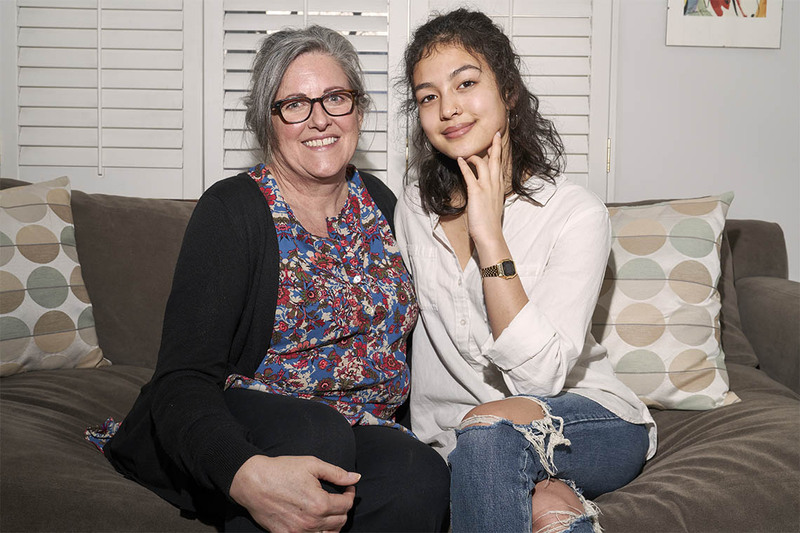 A provincially funded partnership between the National Initiative for the Care of the Elderly – housed at U of T – and the City of Toronto, the project matched 12 Toronto post-secondary students with older adults willing to rent their unused space for the academic year. The students subsidize their rent with five to seven hours per week of household contributions such as errands and dog walking, while the homeowners benefit from this assistance along with rental income. Butcher pays $500 per month, while the one-bedroom apartments she had been looking at were around $1,000, and shared accommodations were $700 to $800. A 2017 study by the Canadian Centre for Economic Analysis found there are two million empty bedrooms in the Greater Toronto and Hamilton Area alone, most of them owned by seniors. Capitalizing on this fact, the project provides quality affordable housing – a rarity in the Toronto market – for students while helping older adults age in place. Mirza and his research team at the National Initiative for the Care of the Elderly, where he is the network manager, are implementing and evaluating the project in collaboration with the city. Based on the applicants’ lifestyles and preferences on matters such as alcohol, pets and smoking, social workers create a match and then attend an in-person meeting to evaluate whether the two individuals connect well in real life. Students undergo a vulnerable sector screening – a police background check designed for people who will be volunteering or working for potentially vulnerable populations such as older adults or children – and complete an educational module on living with older people that includes subjects such as elder abuse and how to engage with seniors. Both parties can access the social worker for support and mediation after they’re living together. Finlayson and Butcher are eager to talk about how well they hit it off from their first meeting. Not only were they a good match on paper – non-smokers with the same sleeping schedule, among other things – but they soon discovered other common ground, such as their love for Star Wars movies. Most striking, however, is the fact that they come from families of six kids. The importance of family and friendships in both of their lives comes up when they try to pinpoint what makes them mesh so well. “My mom always encouraged me and my siblings to be social, and create lots of different connections,” says Butcher. She and Finlayson share a low-key warmth, along with a fondness for a good laugh. Asked what made them take the leap of living with a stranger with a 40-year age difference, they both attribute it to being “open-minded” about new experiences. “As I age, I work even harder on keeping my world growing, not shrinking,” says Finlayson. Finlayson has grown children in the city and helpful neighbours, but says it’s reassuring having someone in the house she can rely on. “I’m not very good at asking for help, so Zoe has become good at reminding me she’s willing and able to do things.” She did the fall garden cleanup, shovels snow and takes on physically demanding chores such as vacuuming. Mirza and his research team are now taking what they’ve learned from the pilot phase and using it to improve and expand the project. The major criticism from participants was that it took too long to apply and get matched, so the team is developing a tech platform to streamline the process. The feedback from participants on the actual home-sharing experience was overwhelmingly positive, prompting Mirza to apply for a grant to replicate the project at five other Canadian universities. The pilot project included students from U of T, Ryerson University and York University.